One of the most important things to me since becoming a mother has been making sure I use only natural products on my daughter. Because I’m lazy and love modern conveniences, I opted out of making my own products or using cloth diapers. I know, I know. That’s really the best way to go. It’s the most eco-friendly, chemical-free option and to the parents who are doing that I commend you. Still, I’m lazy. Bad excuse, but it’s the honest truth. I know that making my own products and cleaning cloth diapers all day is just not realistic for my current lifestyle. If you are like me and want to use natural products for your baby and are worried about their exposure to unnecessary chemicals, but are also lazy, there is a middle ground! We can limit our children’s exposure to toxic chemicals by choosing the most natural products out on the market and not have to sacrifice modern conveniences. Choosing natural products seems like it would be an easy task. Just pick the ones that say natural, right? Not!!!!! Finding truly eco-friendly, plant-based baby products is so hard. You just cannot trust the labels and you have to really do your research. 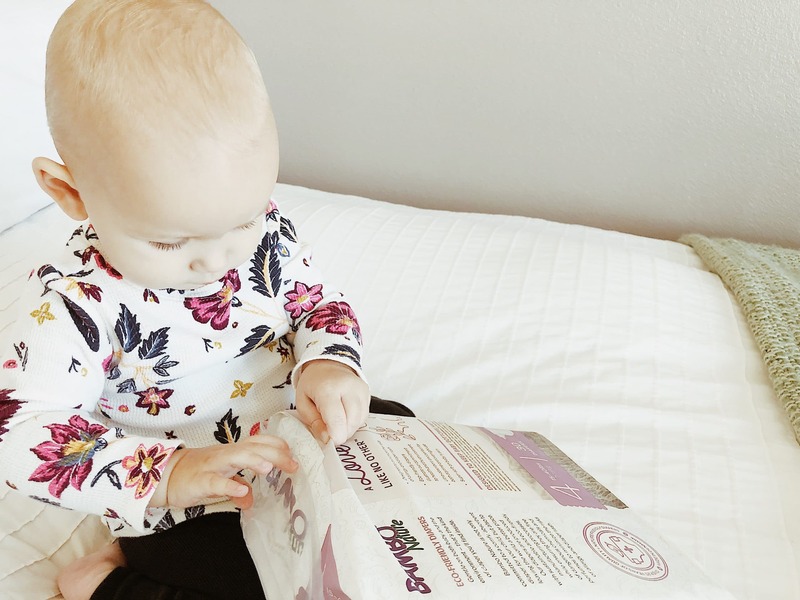 Sometimes finding natural products that are truly natural that you also love simply requires a lot of trial and error, which is exactly how I came to find the perfect combination of natural diapering products for Lily. We tried quite a few different “natural” baby brands. Some I liked and some I didn’t. After changing brands multiple times for different reasons, I found our sweet spot and have been using the same 3 brands since Lily was around 6 months old. THERE ARE NO PERFECT PRODUCTS! There is always going to be some ingredient that people can argue is bad. You just have to do your research and come to your own conclusions. 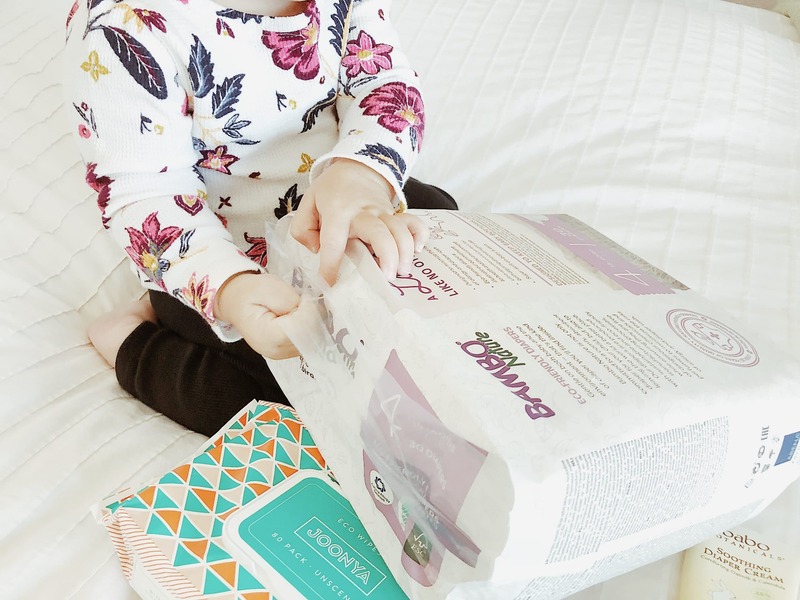 That being said, I am so in love with every one of these products and feel comfortable recommending them to anyone looking for natural diapering alternatives. I can not say enough great things about these diapers. First, they are the softest diaper you will ever feel. They’re not stiff or rough like a lot of other natural diapers. My older sister, who has two children, changed Lily’s diaper once and was shocked at how soft they were. Second, they are 90% blowout proof! 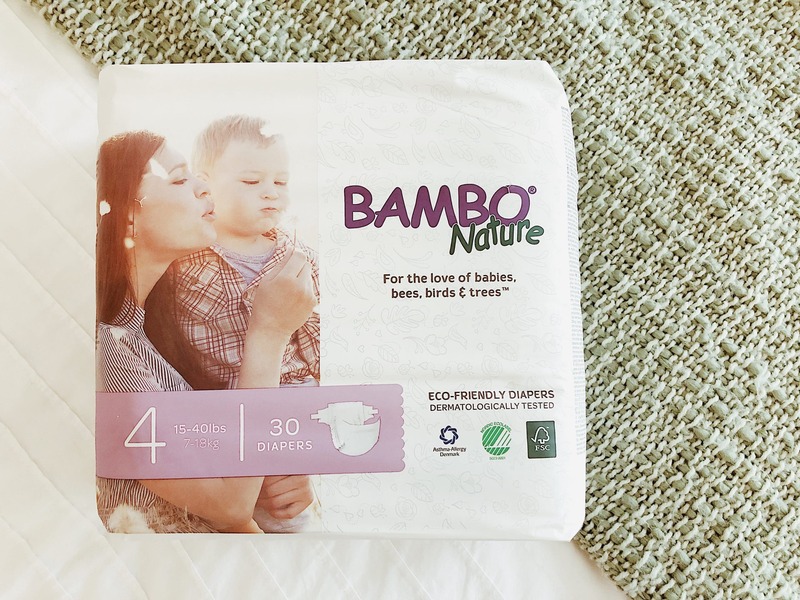 One of the reasons I switched to Bambo in the first place was to find a diaper that could handle my daughter’s intense daily poo blowouts. When we first started using Bambo she went from more than one blowout a day to maybe one blowout a month. Now I can’t remember the last time she had a blowout. That’s amazing! In addition to using high quality, natural ingredients in our products, we never add chemicals, dyes, parabens or perfumes and ensure that Bambo Nature products are free of all known allergens. Our eco-friendly, sustainably sourced products are certified skin-safe and have received the most coveted and stringent certifications in the world. If I convinced you to switch over, click here for a $5 off coupon! Once again, I tried many brands of natural wipes before I decided to stick with Joonya. After trying Babyganics, Seventh Generation, Water Wipes and Jackson Reece, I fell in love with the Honest Co wipes. They were the only wipes that didn’t give Lily a rash. Unfortunately, they were taken off the market for mold issues and I was forced to find a new brand that didn’t irritate Lily’s skin. Enter Joonya! 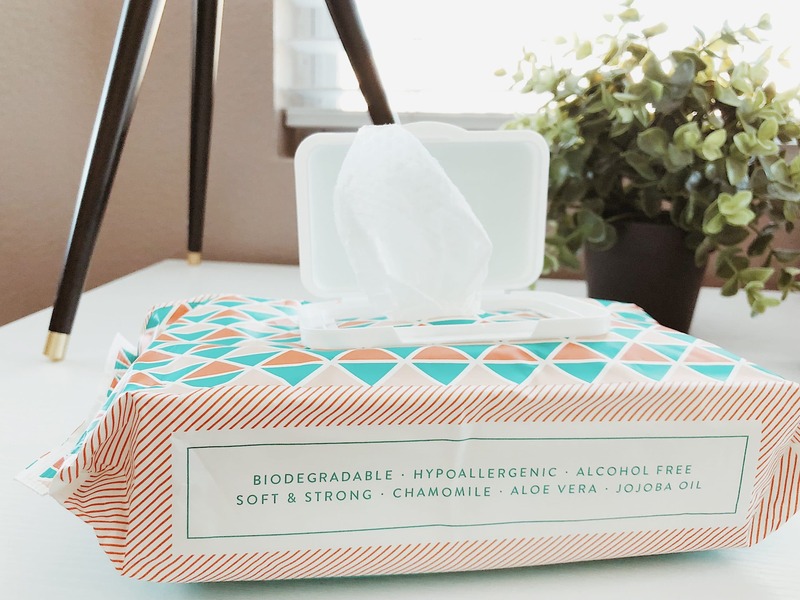 There are so many things I love about Joonya wipes and that’s why I ultimately decided to keep using them even after Honest Co put their wipes back on the shelves. The best part about Joonya, obviously, is that they are all-natural and chemical-free! They use Silver Dihydrogen Citrate as a natural preservative to prevent germs from growing in the moist environment characteristic of wipes. The good thing is that studies show Silver Dihydrogen Citrate to be non-toxic and non-irritating from either oral or dermal exposure. They are also very eco-friendly and are 100% biodegradable and compostable. If that all sounds complicated, just believe me when I say that these wipes are incredibly safe for your baby and for the environment! Plus, they come in really cute packaging. Oh, and the coolest thing is that you can buy a huge box of 24 packs for only $96! That sounds like a lot, but I still haven’t used my whole box and I got it in August. Which means at this rate I’ll still be using the same box until next March or longer and only pay around $13 a month! I think that’s a great deal for such high-end natural wipes. For a risk-free trial 3-pack click here! I first tried out Babo Botanicals when Lily was around 3 months old. I had been using Honest Company wash and Babyganics lotion before that and Lily developed little bumps all over her body. I am not sure if it was the products themselves or just something in them that Lily was sensitive to, but only days after switching to Babo the bumps completely cleared up. We have been using them ever since! 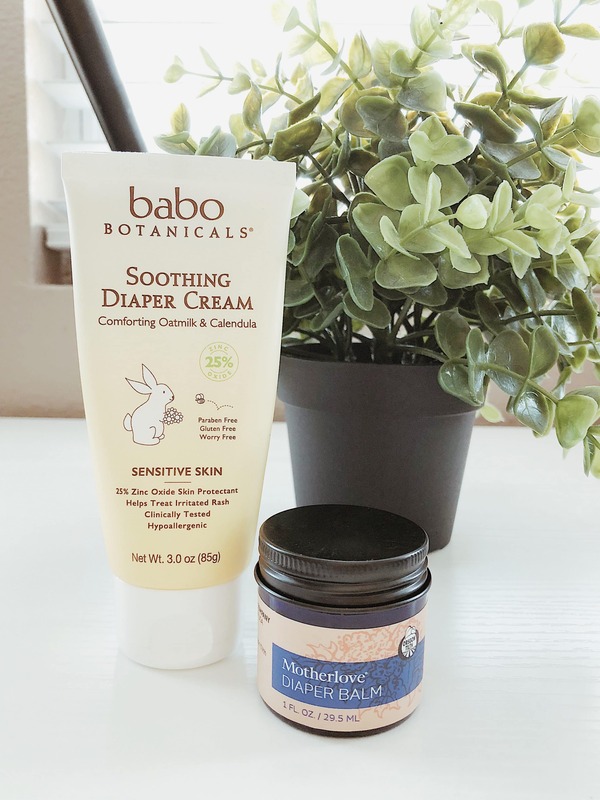 After falling in love with Babo Botanicals as a brand, I slowing started trying out their other baby products, one of them being their diaper cream. Not surprisingly, I loved it. I don’t like to use any products on Lily when I change her diaper unless it looks like she might need it. If I start seeing any redness or irritation I will slather on the Babo diaper cream and by the next day the irritation will be gone. It’s a pretty thick cream, which some people may not like, but I find that it just adds more protection. Because it’s natural it can also separate or get chunky in the bottle. But if you squish the container a few times before you apply it, then it becomes consistent and smooth. I could write a whole post just about how much I love Babo Botanicals! They actually just came out with a Sensitive Baby line that I am currently testing out and am planning on writing a post about, look out for that in the near future! 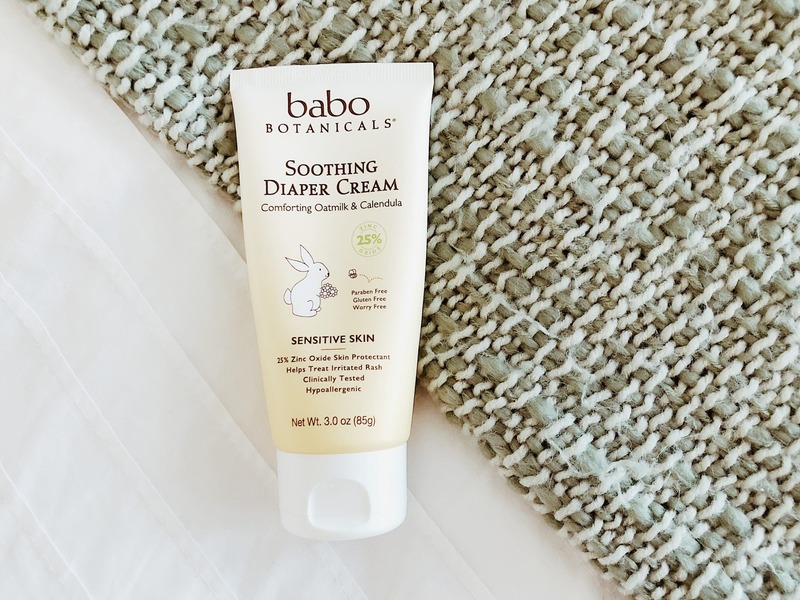 To get some Babo Botanicals Soothing Diaper Cream click here! 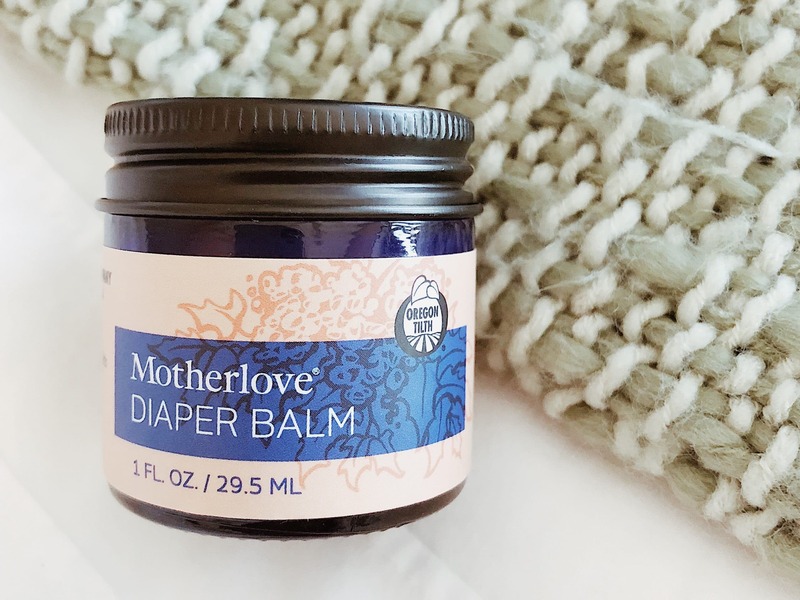 If you are looking for an alternative to the thick Babo diaper cream, MotherLove Diaper Balm and good ol’ coconut oil are great options. I have used both when I wanted to use something lighter. For example, when I was treating Lily’s yeast infection a couple of months ago. I didn’t want to cake too much stuff on top of the anti-yeast cream, so those thinner solutions were perfect. I feel so grateful that there are brands out there that make my life as a mom easier without exposing my sweet baby to toxic chemicals. I am so happy with this combination of products and I highly recommend them every mother looking for natural diapering alternatives. If anyone has any questions about any of the products, please feel free to ask me in the comments below!